On 27 November 2014, I appeared before the Oireachtas committee on Finance, Public Expenditure & Reform. I appeared before the committee together with three other public interest representatives, Brendan Burgess from askaboutmoney.com, Ross Maguire from New Beginning and Paul Joyce of FLAC. Also appearing before the committee was Karl Deeter, of Irish Mortgage Brokers. The catalyst for the discussion was the proposed Mortgage Insurance Scheme, but the almost three-hour discussion covered many aspects of the Irish housing market. Brendan has a number of threads discussing it over on his forum. One thread focuses on my contribution and includes a link to the video of the hearing. The article below originally appeared in an October 2014 issue of Village Magazine. Accepted financial wisdom is that the highest fraction of your income to spend on housing that is sustainable is 35% of your disposable monthly income. A professional couple earning €120,000 gross per annum should not be spending more than €2,250 on housing costs per month. To afford a DCC-standard two-bedroom apartment, with its two balconies, its lift and basement car parking space, you would need to be earning €140,000 a year. Is it any wonder that nothing has been built in Dublin in the last few years? DCC’s regulations are effectively turning Dublin – or certainly its new developments – into an enclave for the wealthy. 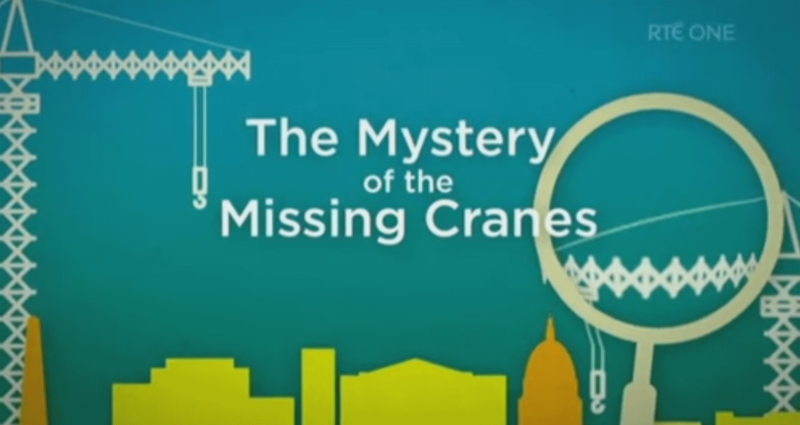 A TV3 special programme on the housing crisis in Ireland, entitled ‘Ireland: What’s Next’ and presented by Matt Cooper, aired in November 2014. I featured as an interviewee, discussing the importance of both credit standards and planning/regulatory burdens in determining the cost of accommodation. You can watch the show here. In November 2014, I presented an authored piece on RTE’s Prime Time, after they invited me to explore why it is that so little has been built in Dublin since 2011, despite a growing housing shortage. The piece focused in particular on whether capital is lacking – it is not – and whether regulation is driving up the break-even cost of building a home – which it seems to be. You can watch the piece, entitled the Mystery of the Missing Cranes, at this link.